Price Comparisons – Which One is Cheaper? Finding the right radio-controlled car can be quite a chore. It gets tricky at the beginning because there is tons of jargon and terms that they need to understand and differentiate between. Some of the most frequent terms used on these RC cars are nitro and electric. So, what are the differences between these two types of vehicles? 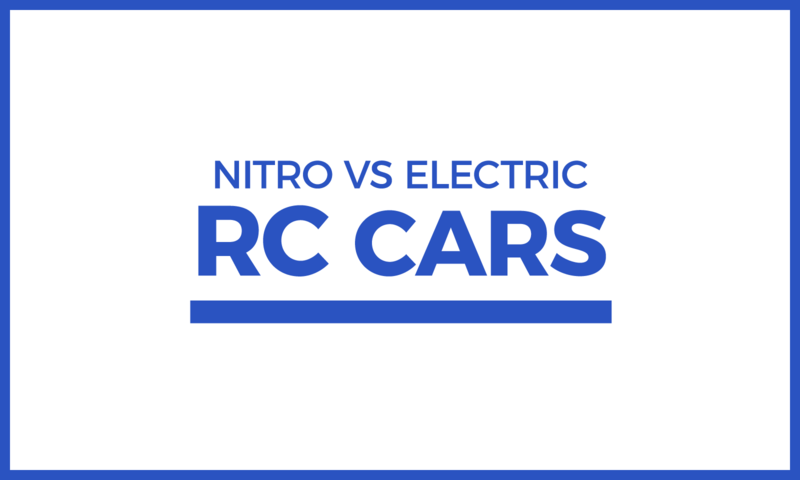 This article seeks to clarify the confusion, and hopefully, by reading this article until the end, you will be able to separate between nitro vs electric RC cars and choose the one that suits well with your driving needs and budgets. When it comes to the physical appearance, there is not much to debate because frankly speaking; they look very much alike. 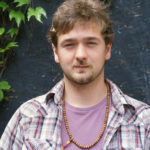 However, upon further inspection, there are several ways to differentiate between the two. For example, you can take a look at the types of motors and chassis. Electric RC cars use a battery as the power source. The nitro RC cars, on the other hand, make use of fuel, which typically contains nitromethane. This is very similar to the gasoline engine used on our real cars. Despite the similarity, nitro cars should not be confused with gas-powered RC cars. They are different in a way that the gas-powered models use gasoline instead of nitro fuel. They normally come in larger sizes and not as popular as electric or nitro models. Electric cars offer two types of motors – brushed and brushless. The brushed motors are mostly used in toy-grade RC cars. They can also be found on several hobby-grade models. Brushed motors contain small contact brushes that allow the motor to spin. They come in two variations – fixed and non-fixed. The fixed brushed motor cannot be modified whereas the non-fixed brushed motor can be tuned up to a certain level. The brushed motor comes with a limitation. It has more friction and produces more heat. These two aspects can affect the motor performance significantly. The better option is the brushless motor because it is more powerful. That is the reason why it is preferred by most professional racers these days. It is more powerful as it does not have any contact brushes. The voltage is relatively higher, which results in a faster speed – not only can it beat brushed motor but also nitro engine! Nitro engine contains more complicated components such as air filters, carburetors, clutches, glow plugs, pistons, crankshafts, and flywheels. There are also fuel tank and exhaust that creates a complete fuel system. Unlike electric motor, the nitro engine is more efficient in circulating heat. The head heat sink is responsible for dissipating the heat from the engine. Electric cars come in two types of chassis – plastic and metal. Toy-grades cars normally use a plastic material as it is cheaper and readily available. Carbon fiber chassis is widely found on hobby-grade cars as it provides more strength. They are both lightweight and easy to replace. Nitro engine emits lots of heats so plastic is not ideal for this type of car. Metal chassis is more preferred as it acts as an efficient heat dissipator. Same goes with the drivetrain component. It is metal on nitro and mostly plastic on electric cars. Now that I have learned a thing or two about the physical differences between these two types of RC cars let us now focus on other aspects of the vehicles such as the speed performance, durability, level of maintenance and ease of use. I will also compare the prices at the end of this article. In general, nitro RC cars are ideal for intermediate and advanced users who love to overhaul and tweak their vehicle. It requires the use of fuel and some oil combination for the engine. Experienced hobbyists find great satisfaction in tinkering with nitro motors. They enjoy fine-tuning the engine to transform their ride into its fullest potential. Even turning on the power requires some skills from the users. There are multiple ways to start the nitro engine, and you will need additional parts to do so. For electric cars, a flip of a switch will do it. For some, it may sound like a con, but for true fans, this tinkering ability is very much fulfilling! Another advantage of the nitro models is the loud sound of the engine. You can truly feel the thrill and excitement as the car speeds up on the track and its engine roars. With the fuel-based power, it provides longer run time. You can drive the cars for 30 to 45 minutes before a refill. Unlike electric RC cars, there is no waiting for battery charging. Fill in the gas, which takes seconds, and you are good to go for another round of race. One of the major advantages of this type of remote-controlled vehicle is the lifelike driving experience that it provides. Most avid racers love this aspect of nitro cars. These cars run on fuel, just like real cars. They also produce exhaust fumes and exhilarating acceleration sound. This is not something that you can get out of the electric cars. Electric RC cars are more beginners friendly. It does not require any major tuning or time-consuming setup. Those who have just entered this new hobby field do not have to worry about not having mechanical skills. You simply have to charge the battery and how hard can charging be? Once the battery is on the full juice, you are ready to go! Maintenance wise, it is also fairly simple to maintain. If you buy models from established brand, little can go wrong with the electrical system. The only repair that you might need to do is when you break any of the suspension-related parts, its chassis, transmission, or steering components. Besides durability, most of the electric cars these days are classified as waterproof. Therefore, the fun is limitless. You can drive it on a snow-covered field or under the rain. You can rely on it to withstand the moist and wet condition. Electric radio-controlled cars are also cleaner and quite. If you live in an area where neighbors live on top of each other, you are better off with this type of RC car. Nitro models can be quite loud and let’s just say your neighbor, Mike, might found the engine sound disturbing. When it comes to the speed, high-spec electric cars are faster than nitro. The performance of electric cars used to be quite bad in the early days compared to nitro cars. However, these days, advanced specs like LiPo batteries and brushless motors have helped to provide longer run time and speed power. There are certain models of electric cars that can reach up to 100mph like the fierce-looking and stylish Traxxas XO-1 Supercar! One of the cons of nitro RC cars that we should all consider is the cost of owning one – the price can get higher as the time passes. You will need to purchase fuel after fuel to keep it running. Well, it is about $20 to $25 for each quart of nitro fuel. With electric cars, you simply need to purchase LiPo or NiMH batteries, and that is it. While you will have to eventually replace the batteries, each one last significantly longer than a quart of nitro fuel. Nitro models also require lots of tender, love, and care after each racing session. You will need to clean the engine and the inner compartment as it can get quite dirty. You will also need to drain the fuel tank, clean the air filter and add after-burn oil to keep it in good condition. Electric cars are cleaner and it does not require much of your time. Plus, for one to be able to maintain the nitro cars, some mechanical knowledge are necessary. You will also need to learn how to maintain the car regularly. The glow plugs will need to be replaced every now and then, and the fuel system needs to be checked periodically. Since the engine uses a liquid, there are several “don’ts” with this car. One of them is: do not store the car upside down. It can cause an oil leakage, which consequently damages your internal system. Furthermore, most of the nitro cars are not waterproof. They are sensitive to water, so splashing it into a big puddle is a big no-no. Of course, the electric cars are not perfect. It also comes with its own sets of drawbacks. The first con is the charging time. While it does not have any setup hassle, you will still need to spend some time to charge the battery and it requires patience – up to 45 minutes or an hour. Furthermore, the driving duration is also quite limited. After 15 to 25minutes, you will need to charge it again – which takes another hour! If you would like to enjoy a nonstop race, you will need to purchase extra batteries and charge them as backups, which brings us to the next point – additional cost of batteries. Electric batteries can be quite expensive. A high-quality LiPo battery can cost more than $50. For example, you can expect to pay $55 for Traxxas 2872X 5000mAh and if you need more power, the Traxxas 7600mAh cell LiPo battery can give you just that at a cost of $71. Even though I know electric cars are more durable and hard to break, major crashes can still cost a fortune. If something happens to the electrical system, you should be ready to spend big bucks to fix it. Plus, the diagnosing process on electrical problems is far more complex and the repairs and part replacement can be more expensive compared to nitro cars. There is no direct answer for this question because there are two types of prices involved – purchasing price and maintenance cost. While the starting price of a nitro car is relatively lower, an electric car can be quite costly especially the ones with brushless motors. Plus, there are also the costs of fuels and batteries as they are normally sold separately. For comparison sake, let us take two similar models from Traxxas – The Rustlers. The Nitro Rustler 1/10 Scale 2WD Stadium Truck offers up to 50mph at a price of about $350 whereas the electric version of it, Rustler 37054-1 1/10-Scale 2WD Stadium Truck is only $200. This particular electric car has a maximum speed of 35mph. Another version that I should put into comparison is the Traxxas Rustler VXL that uses a brushless motor and this model comes with a premium price of $350. The speed of this monster is 70mph! As you can see, the starting prices are very much different depending on the specs of the models. Plus, there are also some additional costs to consider. For example, the Nitro Rustler requires an extra of $50 for the fuel and transmitter batteries. For the Rustler 37054-1, you can boost up the speed up to 65mph by purchasing better batteries and gears, which can cost up to an additional $100 and more. Nevertheless, be rest assured that just like any other products, you will get quality and better experience with the price that you pay; the higher the cost, the better the quality. Plus, you can also expect that as the technology progresses, you will see better deals and lower prices. If I was to choose one myself, I would choose electric cars over nitro any day of the week. This is simply because they are much easier to drive (plug-and-play), have a lower long-term maintenance cost, more waterproof, clean and quiet. Plus, they offer faster speed with reasonable upgrades. However, on the days when you feel like hearing a loud engine sound or brushing up our mechanical skills, I would pick nitro models as the cars can easily fulfill these needs of ours! This is wrong. Lithium battery has limited number of charge-discharge cycles. It degrades significantly after 100-300 cycles. Faster charging, shorter lifetime. Also, one can easily damage battery with wrong programming of charger or ESC. Than, it’s mechanically weak part, and may catch serious fire being damaged in a crash. Last, but not least, RC-spec Li battery can’t be disposed as usual household trash, and even can’t be transported by airline without special precautions and paperwork. Thanks for pointing that out Pavel! You’re right, and I fixed it. hey mark, so ive played with rc cars all my life and was wondering what would you recommend? i live where there are neighbors all around me but i want something fast and affordable. i love to customize and build things. and i am mechanically inclined. ive been looking at a traxxas 4×4 slash, and was just wondering what you would suggest? Hey Blaine! If you have neighbors all around you, then I’d definitely stick with an electric car over a nitro one. The 4×4 Slash is a great truck that you can’t go wrong with. Honestly, you can’t really go wrong with anything made by Traxxas. I would just stay away from the X-maxx since it is so big. Redcat Racing also makes some decent trucks (Definitely not as high as quality as Traxxas, but much more affordable). The Volcano is a good one. Let me know if you have any specific questions, since I kind of just gave you a broad answer! Redcat cars look nice but I don’t think I would trust them just yet. They are still a relatively young brand trying to make a name for themselves. Also I haven’t heard a lot of good things about their RC’s just that they are decent and good for beginners. I know that just like the fuel you choose for your machine the scale is also a personal preference .That being said I am a retired mechanic and I am just looking into the RC world .As a beginner knowing that it isn’t going to take me long before I want faster and better I was thinking of starting with a brushless electric motor but what scale would you suggest? It is really tempting to just start out with the biggest and the baddest. If I did that would I be missing out on good experience and knowledge I would gain from starting out more basic and slowly working my way up? Good Write up. I appreciate the input addressing both types without bias. Hi, Mark so this I might go for a RC but don’t know what I should start with I like tinkering but sometimes I just leave stuff and never finish building it or play with this again. Hey Mike, what’s your budget? Most RC Cars come ready-to-run out of the box, which means you don’t have to put anything together. The name brand RC’s like Traxxas also have lots of after-market parts and other accessories you can add on to or modify. Hey Mark! Thank you for all the information. I am looking to get started in the RC truck world and am looking for some advice. I’m pretty sure I want electric and 1/10 scale. My budget is less than 300. Any particular truck I should look at? Hey Lane, glad to hear it! You can’t go wrong with any of the Traxxas trucks… The 2WD Slash is probably your best bet for that price range.